Evil Soong-type android. 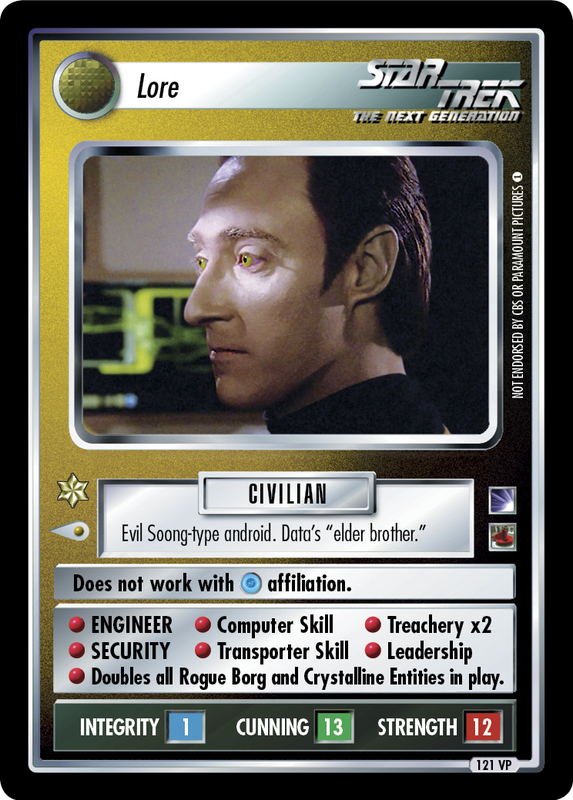 Data's "elder brother." 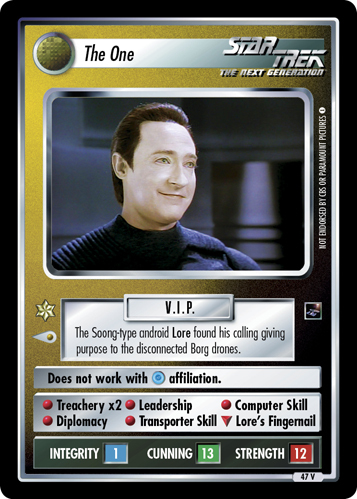 • ENGINEER • Computer Skill • Treachery x2 • SECURITY • Transporter Skill • Leadership • Doubles all Rogue Borg and Crystalline Entities in play.